I'm setting up a Fax client/server on my Ubu +1 desktop box, right now. It's always a challenge, after a fresh install. It's quite convoluted. You need to setup the Fax software as a socket server, then tell CUPS that the fax/modem is an AppSocket/HP JetDirect device, and so forth, and so on. I only need to send/receive a Fax a couple of times a year. In the old days, I kept a standalone thermal paper Fax machine in the closet. Last time I tried to use it, it bit the dust -- probably a bad cap or whatever. I replaced it with a new HP Fax machine. I only used it once. A year later, I needed it again, and the ink cartridge had dried out. And, I wasn't going to spend $30 USD for another cartridge, just to send a single Fax. LoL! Since then, I've been using a variety of Linux Fax proggies -- a HP flatbed scanner -- and my trusty USRobotics Courier V.Everything external fax/modem to send/receive Faxs. Anybody else sending/receiving Faxs using their PC? For instance, in my experience, internal fax/modems seldom work correctly on Linux, if at all. External serial fax/modems work first time, every time. As an example of WHY internal fax/modems seldom work: I don't know who came up with this brilliant idea, but the Conexant HSF 'soft' fax/modems in my Dell Latitude laptops are actually integrated into a combination sound/modem card. Hello?!?!? I thought faxes were well dead .. but then I thought that about floppies and zip drives too, and occasionally come across someone still using them. I need Fax for business purposes. Some businesses (in the USA), such as insurance companies and the medical industry, still won't accept electronic signatures, et cetera. I mostly send/receive Faxs at the office, but occasionally I need to do it from the abode. 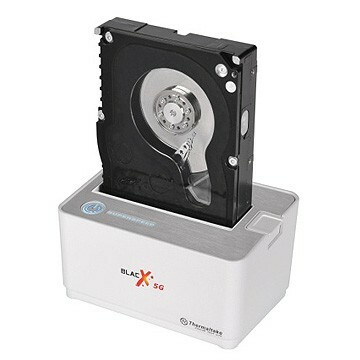 As far as backups are concerned, I use a Thermaltake BlacX docking station -- best invention since water. You just pop in a HDD, and away you go. Kind of reminds me of 8-track tapes. LoL! Only you have to do is just uploading your PDF documents on their old-fashioned website, type number(s) and pay paltry $4 (>15 pages, international; within US & Canada, free with ads) by PayPal. Can you receive Faxs, via FaxZero, too? No. I use fax to let her have printed copy of my document...she doesn't know how to connect her laptop with a printer. When she sends me her document she uses email because I can use my printer. But there are some "Fax-to-Email services" you can both send and receive fax. And most of them use monthly subscription plans. For example, "HelloFax" (https://www.hellofax.com), 300/mo., $10/mo. which is recommended by a famous blog "How to Geek". but their security is questionable. "How I Lost My $50,000 Twitter Username"
The *free* 'Hello Fax' service sounds perfect, for when I'm on the trot.